Activation PACK 1 for Furious it's additional activation for enable access to new phones supported by PACK1 in Furious Box. Activation PACK 4 for Furious it's additional activation dedicated for Furious that allows for UNLIMITED unlock for new BlackBerry phones. Without any problems you also repair IMMEI, menage BBPIN, debarnd yoru phone. Activation PACK 5 for Furious it's additional activation dedicated for Furious that allows for UNLIMITED unlock for new LG phones. Without any problems you also unlock phones from such operators as Tesco, O2. three, T-mobile, Vodafone, AT&T, Verizon or Cingular. Activation PACK 6 for Furious it's additional activation dedicated for Furious GOLD/BLING or LIGHT that allows for UNLIMITED unlock for Alcatel, ZTE and HTC phones. 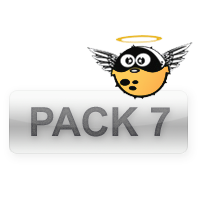 Activation PACK 7 for Furious is latest creation and it is a very powerfull tool to unlock HUAWEI ANDROID phones in few seconds within 1 click only ! Internet is required to use this module. UNLIMITED unlocking. Activation PACK 8 for Furious it's additional activation dedicated for Furious that allows for UNLIMITED unlock for new Alcatel phones. Without any problems you also unlock also Lobster, Motorola, Vodafone phones. 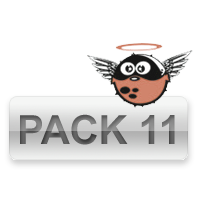 Activation PACK 11 for Furious it's new PACK that allows you to unlock leatest Huawei models. 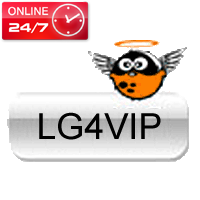 By buying of this pack you are able to unlock leatest Huawei models as G210, SFR131, G3702, 248, MFONE G2101, HL 2301. Activation PACK 1 + 1 Year Support for Furious it's additional activation for enable access to new phones supported by PACK1 in Furious Box as also will prelong your access to support and use Maitance for chaneg pack for 1 year. 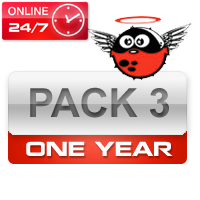 Activation PACK 2 + 1 Year Support for Furious it's additional activation for enable access to new phones supported by PACK2 in Furious Box as also will prelong your access to support and use Maitance for chaneg pack for 1 year. 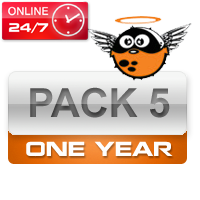 Activation PACK 3 + 1 Year Support for Furious it's additional activation for enable access to new phones supported by PACK3 in Furious as also will prelong your access to support and use Maitance for chaneg pack for 1 year. 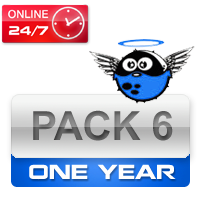 Activation PACK 4 + 1 Year Support for Furious BLING/LIGHT it's additional activation PACK4 as also will prelong your access to support and use Maitance for chaneg pack for 1 year. Dedicated for Furious allows UNLIMITED unlock for new BlackBerry phones. Without any problems you also repair IMMEI, menage BBPIN, debarnd yoru phone. Activation PACK 5 + 1 Year Support for Furious it's additional activation dedicated for Furious that allows for UNLIMITED unlock for new LG phones as also will prelong your access to support and use Maitance for chaneg pack for 1 year.. Without any problems you also unlock phones from such operators as Tesco, O2. three, T-mobile, Vodafone, AT&T, Verizon or Cingular. Activation PACK 6 + 1 Year Support for Furious it's additional activation dedicated for Furious GOLD/BLING or LIGHT that allows for UNLIMITED unlock for Alcatel, ZTE and HTC phones.